Women are Strong, Smart, technically competent, emotionally valiant – Yet, women face several challenges at work. Most of us have lead a team with women members. We can easily recollect the typical challenges we face when we have women on the team. We have observed – constrained timings, unexpected absence from work, coming late, leaving early etc. etc. Yet, equally observed the sensitivity, sincerity and commitment that they bring to work. 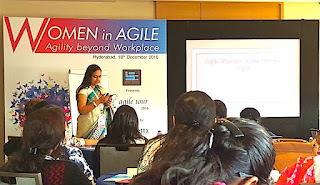 The typical challenges women face at work would include – Work life balance, Harassment (Sexual, Security, Restroom gossip), Career Opportunities (Power play, ego clashes,), Maternity (Children and career), Lack of role models, Men Vs. Women (Gender Bias) to name a few. It is only logical to deduce who gets impacted and the impact. Organizational productivity decreases which results in unequal less diverse workforce, ultimately having an effect on the culture and work quality of the organization. The effect of the challenges that come along as a part of having women on our teams can be judged by questioning ourselves, Do WE want to have women on our team? What if we give some flexibility like - Flexible working hours, Work from home, allow them to take leaves, No Politics, Maintain self-esteem etc. Then will the benefits of having women on our team outgrow these challenges that we face is up to us to evaluate. We need to think as to what can we do to address these challenges and how can we bring about a change? 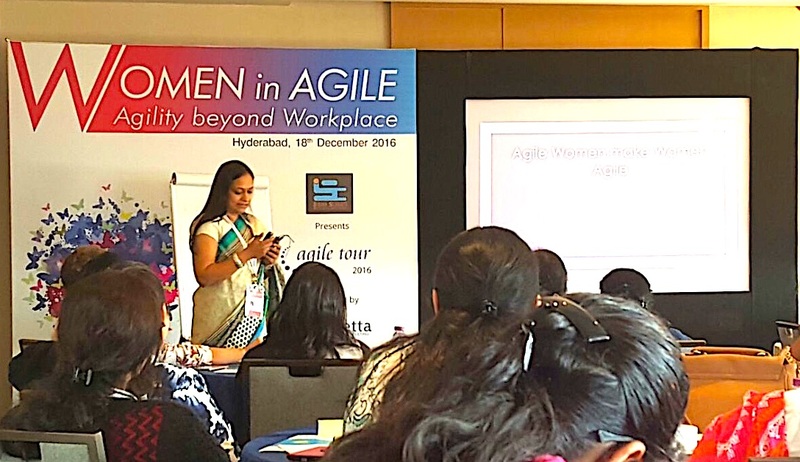 Sharing a story from work, where in I experienced some of these challenges / issues and tried addressing them. We had a requirement for a resource at one of my recent assignments. A resource who could follow instructions religiously. There was an extreme resource crunch and limitation of right type of people. There were several sales guys on the team and I divided the task into regions and put the existing guys on it to do the work. These guys were not doing this job sincerely and meticulously. It was hampering business growth. If you want something done, ask a woman. We all know how good we women are in following the procedures. So, I thought of hiring a woman to do the job at hand. I was searching for a relatively literate person, not very high skilled but adept in use of computers. Agencies were not able to provide a person to that description. Through a reference, I came across a woman, in need of work. We met and she came across as just right for the assignment. She had that fire, need and willingness to work. She was approved in the interview and was expected to give confirmation on the date of joining. In spite of everything falling in place, I didn’t hear from her. So, then how did I get her IN ? When I probed further, I was told that her husband wasn’t in favour of her working out of home in an office and she wanted to be home when her son comes back from school in the afternoon. A challenge worth addressing. I understood her challenges. Bringing in Agility and flexibility in my system, I broke down the work that I wanted her to do, such that she finishes the work before leaving for the day. I renegotiated her salary in accordance to the timings that she was working. The plan was structured in such a way that the evenings pending work shall be completed early in the morning and before leaving, the reports till the time shall be submitted. Then the Journey of her becoming an asset to the organization started. She was keen to work. I just facilitated and provided means suitable for the same. Having been obliged she was extremely enthusiastic and responsive towards work. Things started falling in place. No customer was left out and business was functioning in a more organized way. I started adding more responsibilities to her work. In order to upgrade her, I had to work very closely with her, pulling her up, step by step. She put in efforts and upgraded herself through the year, performing well, she became an indispensable asset for the organization. She seamlessly performed the responsibilities that the other more skilled members of the team were reluctant to take up. Bringing in Agility to the system, I empowered an individual. I made a person happy. Brought smiles to a family, by making the most important member of the family smile. Was all the effort was worth it? UNDOUBTEDLY! My Assignment was coming to an end and when I broke the news of moving out from the assignment, she broke down. She said that it was only because of the efforts taken to make her comfortable with work, and work environment, that she was able to sustain herself!